Power steering helps the driver of a vehicle to steer by directing some of the its power to assist in swivelling the steered roadwheels about their steering axes. As vehicles have become heavier and switched to front wheel drive, particularly using negative offset geometry, along with increases in tire width and diameter, the effort needed to turn the wheels about their steering axis has increased, often to the point where major physical exertion would be needed were it not for power assistance. To alleviate this auto makers have developed power steering systems: or more correctly power-assisted steering—on road going vehicles there has to be a mechanical linkage as a fail safe. 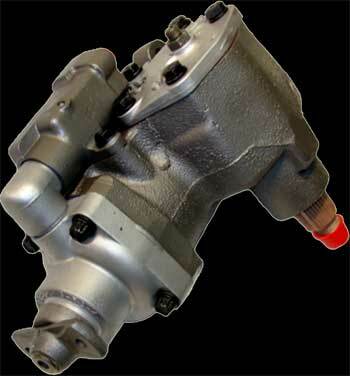 There are two types of power steering systems; hydraulic and electric/electronic. A hydraulic-electric hybrid system is also possible. A hydraulic power steering (HPS) uses hydraulic pressure supplied by an engine-driven pump to assist the motion of turning the steering wheel. Electric power steering (EPS) is more efficient than the hydraulic power steering, since the electric power steering motor only needs to provide assistance when the steering wheel is turned, whereas the hydraulic pump must run constantly. In EPS, the amount of assistance is easily tunable to the vehicle type, road speed, and even driver preference. An added benefit is the elimination of environmental hazard posed by leakage and disposal of hydraulic power steering fluid. In addition, electrical assistance is not lost when the engine fails or stalls, whereas hydraulic assistance stops working if the engine stops, making the steering doubly heavy as the driver must now turn not only the very heavy steering—without any help—but also the power-assistance system itself. At Dana Brothers Automotive, we're experienced and trained to work on all types of power steering systems. We'll get your vehicle turning and steering the way id did off the assembly line.